Dallas Skyline. Source: WikipediaI was in Dallas this past week for the New Cities Summit, so it’s a good time to post an update on the city. I don’t think many of us realize the scale to which Sunbelt mega-boomtowns like Dallas have grown. The Dallas-Ft. Worth metro area is now the fourth largest in the United States with 6.8 million people, and it continues to pile on people and jobs at a fiendish clip. Many urbanists are not fans of DFW, and it’s easy to understand why. But I think it’s unfair to judge the quality of a city without considering where it is at in its lifecycle. Dallas has been around since the 1800s, but the metroplex is only just now starting to come into its own as a region. It is still in the hypergrowth and wealth building stage, similar to where a place like Chicago was back in the late 19th century. Unsurprisingly, filthy, crass, money-grubbing, unsophisticated Chicago did not appeal to the sophisticates of its day either. But once Chicago got rich, it decided to get classy. Its business booster class endowed first rate cultural institutions like the Art Institute, and tremendous efforts were made to upgrade the quality of the city and deal with the congestion, pollution, substandard housing, and fallout from rapid growth, which threatened to choke off the city’s future success. At some point in its journey, Chicago reached an inflection point where it transitioned to a more mature state. One can perhaps see the 1909 Burnham Plan as the best symbol of this. In addition to addressing practical concerns like street congestion, the Burnham Plan also sought to create a city that could hold its own among the world’s elite. And you’d have to argue the city largely succeeded in that vision. The DFW area is now at that transition point. They realize that as a city they need to be about more than just growth and money making. They need to have quality and they need to address issues in the system. Much like Burnham Plan era Chicago, this perhaps makes DFW a potentially very exciting place to be. It’s not everyday when you can be part of building a new aspirational future for a city that’s already been a successful boomtown. The locals I talked to were pretty pumped about their city and where it’s going. How true this is I don’t know, but some people have attributed a change in mindset to the loss in the competition to land Boeing’s headquarters. Boeing ended up choosing Chicago over Dallas. In part this was because Chicago bought the business with lavish subsidies that far outclassed what Dallas put on the table. But it was also because Boeing saw Chicago as a more congenial environment for global company C-suite and other top executives to be, both from a lifestyle perspective and that of access to other globally elite firms and workers available in Chicago. Dallas stands at the verge of entering a cycle of decline…On its current path, Dallas will, in the next 20 years, go the way of declining cities like Detroit – a hollow core abandoned by the middle class and surrounded by suburbs that outperform the city but inevitably are dragged down by it. If the City of Dallas were a corporate client, we would note that it has fallen significantly behind its competitors. We would warn that its product offering is becoming less and less compelling to its core group of target customers…We would further caution the management that they are in an especially dangerous position because overall growth in the market…is masking the depth of its underlying problems. We would explain that in our experience, companies in fast growing markets are often those most at risk because they frequently do not realize they are falling behind until the situation is irreversible. 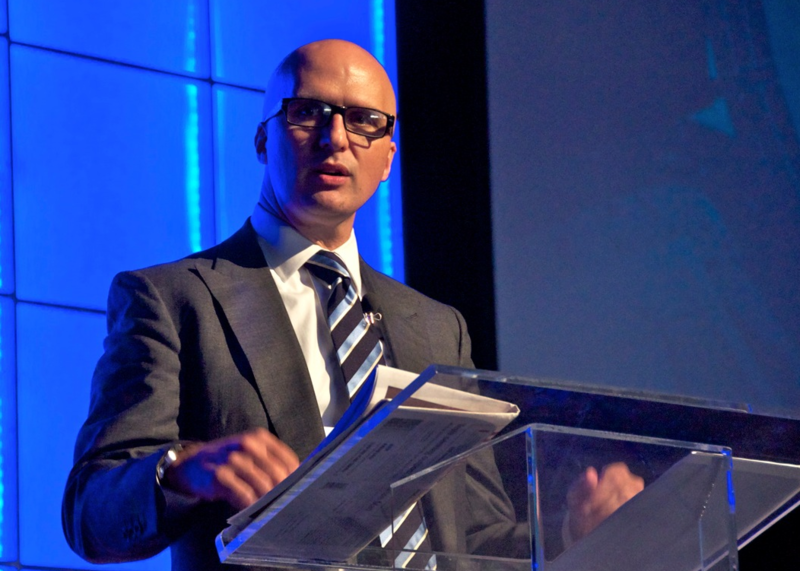 Put into the language of business, we would note that Dallas is under-investing in its core product, has not embraced best practices throughout its management or operations, and is fast becoming burdened by long term liabilities that could bankrupt the company if the market takes a downturn. The city responded in a number of ways, some of which were similar to Chicago at its inflection point. Many of these involve various urbanist “best practices” or conventional wisdom type trends. By far the most important of these was adopting modern statistically driven policing approaches. As crime plummeted in places like New York during the 1990s, Dallas did not see a decline of its own. But with the expansion of police headcount and adoption of new strategies by new police chief David Kunkle in 2004 – and no doubt some help from national trends – crime fell steeply during the 2000s. The Dallas Morning News says that the city’s violent and property crime rates fell by a greater percentage than any other city with over one million residents over the last decade. In 2013, Dallas had its overall lowest crime rate in 47 years. This is critical because nothing else matters without safe streets. I’ve had many a jousting match with other urbanists on discussion boards about where crime falls on the list of priorities. In my view it’s clearly #1 – even more so than education. It’s simply a prerequisite to almost any other systemic good happening in your cities. Students can’t learn effectively if they live and attend school in dangerous environments, for example. NYU economist Paul Romer made this point forcefully in his New Cities keynote, saying that fighting crime is the most important function of government and that if you don’t deliver on crime control your city will go into decline. Fortunately, Dallas seems to have gotten the message. But there’s been attention to physical infrastructure as well. The area has built America’s largest light rail system (which was in the works since the early 1980s). Dallas Area Rapid Transit (DART) light rail train. Source: WikipediaBoth the city and region remain fundamentally auto-centric, however, and this is unlikely to change. There’s been a significant investment in quality green spaces. A major initiative called the Trinity River Project is designed to reclaim the Trinity River corridor through the city as a recreational amenity. This is underway but proceeding slowing. Among the aspects of the project is a series of three planned signature bridges designed by Santiago Calatrava. The only one completed is the Margaret Hunt Hill Bridge. The Margaret Hunt Hill Bridge in Downtown Dallas. Designed by Santiago Calatrava. Source: WikipediaThe single bridge tower is quite an imposing presence on the skyline. However, the size of the bridge creates an awkward contrast with the glorified creek that is the Trinity River. It looks to me like they significantly over-engineered what should have been a fairly straightforward flood plain to span just so they could create a major structure. Klyde Warren Park. 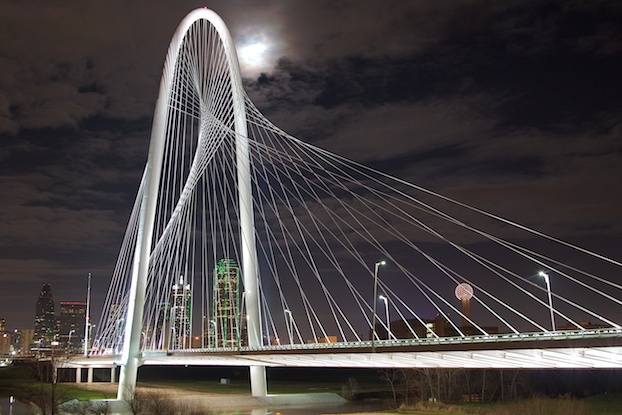 Source: WikipediaThe Calatrava bridge shows that Dallas has embraced the starchitect trend. This was also on display in the creation of the Dallas Arts District. Complementing the Dallas Museum of Art are a billion dollars worth of starchitect designed facilities including Renzo Piano’s Nasher Sculpture Center, IM Pei’s symphony center, Norman Foster’s Winspear Opera House, and OMA’s Wyly Theatre. Dee and Charles Wyly Theatre. Designed by OMA’s Joshua Prince-Ramus (partner in charge) and Rem KoolhaasThis arts district – which naturally Dallas boasts is the world’s largest – along with the other major investments that were funded with significant private contributions show a major advantage Texas metros like DFW and Houston have: philanthropy. These are new money towns on their way up and local billionaires are willing to open their wallets bigtime in an attempt to realize world class ambitions, exactly the way Chicago’s did all those decades back. By contrast many northern tier cities are dependent on legacy philanthropy, such as foundations set up in an era when they were industrial power houses. This is a dwindling inheritance. What’s more, what wealthy residents they do have are as likely to be taking money out of their cities through cash for cronies projects than they are to be putting it in. Thus they can be a negative not positive influence. This shows the importance of wealth building in cities. Commercial endeavors can appear crass or greedy at times, and deservedly so. But without wealth, you can’t afford to do anything. There’s a reason Dallas could build America’s largest light rail system – it had the money to do so. Similarly with this performing arts district. To be a city of ambition requires that a place also be an engine of wealth generation. I’m sure that Dallas’ moneyed elite are well taken care of locally and exert outsized influence on decision making. I don’t want to make them out to be puristic altruists. But they’ve shown they are willing to open their wallets in a serious way, something that’s not true everywhere. This is a flavor of what Dallas has been up to. It’s too early to say whether the city will make the same transition Chicago did. Its greatest challenge also awaits some time in the future. When DFW’s hypergrowth phase ends and the city must, like New York and Chicago before it, reinvent itself for a new age, that’s when we will find out if DFW has what it takes to join the world’s elite, or whether it will fade like a flower as Detroit and so many other places did. Toyota did just announce it’s moving 3,500 jobs to north suburban Plano. But corporations have long seen Dallas a place for large white collar operations. Boeing was what I call an “executive headquarters” – a fairly small operation consisting of only the most senior people. I haven’t seen Dallas win any of these as of yet. The Dallas Morning News takes a somewhat mixed view on the city itself. They just did a special section called “Future Dallas: Making Strides, Facing Challenges,” the title of which sums it up. Dallas has put a lot of pieces on the board and made major progress on areas like crime, but it’s failed to make a dent in others, such as Booz Allen’s call to make the city more attractive to middle class families. Poverty is actually up since then, and the city is increasingly unequal in its income distribution. Dallas is not unique in that, but that’s cold comfort. Despite gigantic regional growth, the city’s population has been nearly flat. Despite the vaunted Texas and DFW jobs engine, Dallas County has lost about 100,000 jobs since 2000. The core is clearly continuing in relative decline, and the Dallas County job losses are particularly troubling. I’m no believer in this idea that everybody is going to abandon the suburbs and head back to the city. But as former Indianapolis Mayor Bill Hudnut put it, you can’t be a suburb of nowhere. If the core loses economic vitality, the entire DFW regional will take a hit to its growth. I highlighted some of what Dallas has accomplished recently, as well as continued areas of concern. On Thursday I’ll be back with another installment taking at look at downtown and the visitor experience. The Dallas-Fort Worth Metroplex won the headquarters of Exxon, at the time one of the world’s largest corporations and located in Rockefeller Center, in 1989. That one seems pretty important to the growth and development of DFW. That was not an executive headquarters. What’s more, the energy business has subsequently consolidated in Houston. Exxon is building a 10,000 employee campus there as we speak. The HQ might not move, just as Chevron is technically still in the Bay Area, but the center of gravity is shifting to Houston. This is not DFW’s fault, but a result of energy industry dynamics. It was an early win for Dallas, back when headquarters just didn’t move from one metro to another very often in the absence of a buyout or merger. It added some serious human capital, and it probably hastened the consolidation of the energy business on the I-35 corridor from OKC to Houston prior to Houston’s ascendance. 1) Rail: Chicago grew along mass transit and commuter rail lines. It filled in between, but it’s still conceivable to live in the city and, by a stretch, in parts of the metro area, without a car. 2) Density: The largely pre-war housing stock in much of its neighborhoods is pleasant and “urbane.” Essentially, it wears well over time, and allows for regeneration. 3) Downtown: The central area has an established mix of office and retail, and increasingly residential. It’s currently drawing office users from the suburbs. While suburban office parks are interchangeable throughout the country, a vibrant downtown is not. Thanks for writing this. I’m a DFW-based consultant who has worked nationally but made the decision a few years ago to focus on north Texas. I attended the summit, and it was great to see so many great minds and perspectives experiencing the “new Dallas”. Mayor Rawlings has done an excellent job of getting Dallas back on the map, and as you’ve stated, we have lots of exciting things happening. But, as many of the summit attendees correctly pointed out, we still have work to do to make our downtown the vibrant, pedestrian-friendly place it needs to be. The Arts District is great, but all it takes is a 5 minute walk in any direction and you’ll see streets that are too wide, very little first floor activity facing the streets (lots of solid concrete walls), lack of street trees, etc. Philanthropic contributions have been critical to getting projects like the Arts District, Klyde Warren Park and the Trinity done, but they are going to be even more critical to continuing the place making momentum. At the same time the city is trying to re-brand itself, it is also facing a ginormous gap between infrastructure rehab needs and available funds, so I see a large majority of city funds going toward maintaining and repurposing infrastructure. Good news is that there are great conversations happening about ways the public, private and philanthropic groups can work together to rebuild and revitalize the city. Ongoing efforts like those of Gail Thomas and the Trinity Trust and new movements like the 345 teardown initiative being led by Patrick Kennedy (www.anewdallas.com) are moving us in the right direction. There are also great things happening in the first-ring suburbs around Dallas. Mayor Doug Athas’ efforts in Garland come to mind. Plano, which you mentioned, has completely transformed its downtown around the DART station and has one of the most productive mixed-use developments in the area in Legacy Town Center. Fast growing outer-tier suburbs like Frisco, McKinney and Rockwall are all doing a pretty good job of balancing walkable downtowns and mixed-use developments with the typical suburban stuff in a manner that’s allowed quality schools and economic development. CNU 23 will be coming to Dallas next year. The progress in Dallas and surrounding communities will be on full display, as well as challenges we’re working through. Hopefully you and others will make a return trip to Dallas for that! Points 2 & 3 reflect one notable feature of Dallas: it is the most randomly located major city in the US, if not the world. Practically every other major metro area got it’s start based on a valuable geographic feature, such as a sea port (SF, NY), river port (STL, Cincy, Montreal), or natural transport nexus (Chicago, Atlanta, Denver). Other cities were explicitly set up as national/state capitals due to their central location (DC, Columbus, Austin). But Dallas grew up amidst a featureless prairie with blistering summer temperatures (which is hardest adjustment for a Yankee transplant like me) and has never been a government or university center. As a result, the city has somewhat of an inferiority complex vis-a-vis other cities that have prominent (and often beautiful) natural terrain features, like Chicago and Lake Michigan or SF and the Bay. Building the big bridge over the little creek was an attempt to pretend we have a real river, and is out of proportion as you noted. The real success was Klyde Warren Park, where we embraced our lack of real terrain features and located it over a sunken highway and thereby connected two important neighborhoods. As you note, it was funded by the big-money philanthropists and not the public sector (even the maintenance is by a private endowment), another very revealing element for a business-centric city. I enjoyed your piece and look forward to more. I visit Dallas all the time for work and I have two friends that live there and it’s a pretty depressing place to spend time for someone who likes cities, though people in Dallas do seem to love it. Eric, I’d suggest the Lakewood, University Park, and Highland Park areas near the light-rail corridor and Central Parkway. The areas along the corridors seem to be rapidly densifying. The single-family neighborhoods of smaller-lot homes with sidewalks and alleys reminds me of Northern cities’ early auto suburbs, which we now consider “urban”. Eric, people around here do love their cars, but there is a growing increase in more quality, walkable places. The biggest challenge is getting various city departments to change their way of thinking so that developers who want to build more walkable places don’t have to fight so many battles to change the process, build to different street standards, rewrite codes and ordinances, etc. It may not look like it, but there has been a ton of progress in this area over the past few years. They’re still one-off projects though, and not a broad, system wide change. Bringing events like the New Cities Summit and USCOM to the area will help, as will articles and comment discussions like this one. I’m wondering if there will come a point that Dallas (and Houston) embrace change the way LA seems to have in terms of transit and density anyway. Josh, thanks for sharing that link. There are some that think where Dallas and Houston are today is similar to where LA and California were 20 years ago. I’m doing some research on the side to compare LA and a few CA suburbs from 1990-ish to Dallas and some of the DFW suburbs today. I’m just far enough into it to say that there are definitely some similarities worth exploring further. There are some environmental issues that will force change (especially water supply and water quality), but things around here are typically all about the dollar – citizens saving them and businesses making them. The fiscal consequences of the post-WW II development pattern are starting to reveal themselves, and that, along with businesses and workers wanting to locate in urban environments will probably be what initiates a major shift. The Sun Belt is all about cars and it’ll be interesting to see if the cities in that region can build up pedestrian infrastructure before the boom is over. 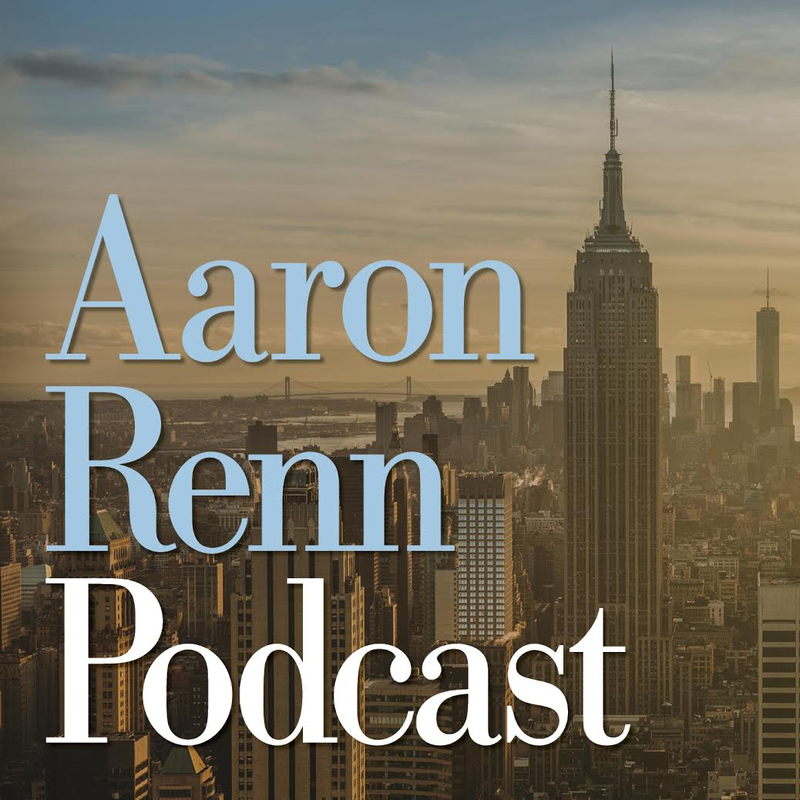 As Aaron noted, you need money to create a great city, and while I think the Sun Belt is positioned OK for the future, and I doubt it’ll ever be this good again economically. Now is the time. As is stands, a decaying Phoenix or Dallas is a frightening prospect. The margins those cities operate on are extremely dependent on dirt cheap energy and seemingly infinite natural resources. Introduce some true scarcity and well – it’s not something anyone wants to think about, so generally we don’t. George, I don’t think $100/barrel oil is exactly “dirt cheap” energy. What’s too cheap and still underappreciated is fresh water. The old saying in the water field is that “water flows toward money”. Think of the LA Aqueduct. T. Boone Pickens bought land and water rights in the Texas Panhandle (southern extent of the Ogallala Aquifer) and proposed to build a massive pipeline to DFW, which would have avoided some Federal complications of an interstate pipeline. He abandoned the scheme when Dallas wouldn’t pay his price to lock up the reserves. Instead he sold to other Texas water authorities. Dallas may regret that. Adjusted for inflation, the average gas price in 1965 in America was $2.34 a gallon. Last year, the average price was $3.49. Five years ago, the average price was a measly $2.35. I’d reckon that gas is still on the cheap side and Americans have an unbelievably spoiled view of current prices. It’s roughly on par with milk, still. Not every analysis carefully distinguishes between Dallas and its suburbs. Virtually all of the in-migration and job growth is in the suburbs, not in Dallas proper. To a large extent, this is because the public schools (99% black and hispanic student population) within Dallas proper do not attract many college-graduate parents. That is because the Dallas (DISD) public schools do not perform on the same level as those in Plano, Richardson, Frisco, etc. That is because they are overwhelmed with a student body that is predominantly unprepared and underperforming. That’s why the big corporate relocations (Toyota, State Farm) and the domestic in-migration flow to Plano and Richardson, not Dallas proper. The Dallas-proper real estate market is hot, but mainly because of those wealthy enough to choose private school, or the ever-growing ranks of the childless. As Joel Kotkin or City Journal would say, they alone can’t build a sustainable community. The few exceptions to the rule I described within Dallas proper (i.e. Lakewood) thrive because of carefully gerrymandered elementary-school attendance-zone boundaries designed to mostly keep out the poor blacks and Hispanics who bring down the overall performance of the Dallas school district. Nothing I’ve seen suggests any of this will change. If Dallas wants to attract the thousands of college-educated middle-class families that currently move from around the country to Plano and Richardson, it needs to find a way to offer them “good” public schools, i.e. ones that aren’t overrun by underperforming students. I.e., it could greatly expand the size of its (small but good) magnet program. But the balance of power is held by representatives of the poor and nonwhite majority, who would reject any such moves on grounds of equity. So the population growth and job growth is going to continue to happen in the northern suburbs, not so much in the city itself. I don’t think many think the recent growth in Pittsburgh’s core is due to an improvement in city schools. The difference is that the city sustains a unique “urbanism” advantage over most suburbs in terms of core attractions, transit and quality walkable neighborhoods. To a large extent, this revival is gradually improving some schools. My guess is Dallas’s core – much like Indy’s doesn’t provide much more quality urbanism than its suburbs. I get your point about filling an inferiority complex- but if Dallas is like many desert towns- small creeks can become huge rivers during flash floods. Although rare, downtown Dallas has suffered severe flooding in decades past (most severely in 1908 but also in 1990 and several times in between) and the Trinity River Project has enlisted local and government officials for advice on extending and improving the current levee system protecting the downtown area. Following the 1908 flooding of the Trinity basin, levees were first constructed in 1932. They were heightened in 1960 to the 30 ft that has been maintained to the early 21st century. Current plans to improve the existing levees are part of what is known as the Dallas Floodway Extension project. They entail extending two existing levees and raising two others, all adjacent to the downtown Dallas area. Sorry- all paragraphs after the link should be in quotes. While building huge highways for rare peak traffic surges is dumb, building protection for peak flood conditions is not. @Jim Morris, with no navigation requirements, a major span shouldn’t be necessary. There are multiple bridges that cross it already that are just a series of simple spans. Your point about flash flooding is correct. Dallas isn’t in (or even near) a desert, but rainfall is very erratic and the area is prone to both drought and local flooding. The big bridge does span a wide area to allow a remarkably wide floodplain for such a mediocre river, whose levees are only reached about once a decade. That said, the fancy bridge does feel out of place as it only connects the the levees and normally is mostly over dry scrub brush. Perhaps for that reason, it looks better at night, as in Aaron’s picture, above. The flood plain is also a big reason the Trinity River Project is moving so slowly – it is either risky, expensive or both to build anything between the levees. Looks are deceiving. The Trinity seems to have a nasty side as images from 1990 show. flood of record since Dallas Floodway built. 1991 brought an even higher rainfall total & 9 fatalities. John, nothing in that suggests that the simple bridge spans currently in use weren’t adequate. In fact that document contains a photo showing a rail bridge that it looks like you could still run trains across even in that flood. Ah Dallas….the city that’s not really a city. Like most Sunbelt cities they all look the same. Superimpose Atlanta, Fort Worth, Phoenix, Charlotte, etc…you cannot tell the difference. Car-centric with unmanageable sprawl. Think Los Angeles without the scenery and culture. These areas are the epitome of work downtown and drive home to the ‘burbs. And, for the most part, still are. Houston is doing its damnedest to reinvent itself, but good luck with that. Atlanta boomed from 1880 to 1920 & has a fairly normal street grid and many old walkable neighborhoods. My guess is one could easily tell it from Dallas. One wonders how these Sun Belt giants will fare in a world of climate change–not to mention their declining water supplies. I know that we are grading on a curve but the Atlanta area is on at least one list of the country’s most walkable cities. The city ranked 8, behind Portland but ahead of Pittsburgh. I was really surprised how easy it was to walk around many parts of Atlanta. Jeff Speck’s “Walkable City” on DART: “where parking is as ubiquitous as it is cheap, the only significant constraint to driving is the very congestion that DART hopes to relieve”. In spite of the transit investments, Dallas doesn’t seem in the same league as Atlanta. A lot of Atlanta was built earlier with a easy wide street grid and sidewalks. In many areas all that is needed is to change the zoning and add people. Atlanta’s inner ring old industrial belt is booming with infill investments. My impression is that Dallas is a crazy quilt of highways with very little street grid and even sidewalks are very rare. I lived in the DFW area. Probably one of the blandest and most uninteresting metros to live in. Giant overpasses, wide highways, big box stores, strip malls, mediocre chain establishments, non-existant scenery generic subdivisions and a glorified office park that passes for a downtown. I suppose is great for people who just want a big house for cheap and year round warm weather. For people who aspire for more, there are far better options. I’ve lived in the Twin Cities area for a couple years now. Huge upgrade in every way, except for the winter months. Right, if the downtown is a glorified office park and the schools are bad, why would one choose it over any suburb? Atlanta is somewhere in between- with many areas lacking in urban advantages, but a fairly easy path towards improvement. Agreed, Good example. I’ll use Minneapolis/St.Paul as another. IMO the Twin Cities urban core is in the top five, if not top three most livable urban cores in the country. You have great neighborhoods, historic diverse housing stock, gorgeous scenery, a large variety of local and ethnic restaurants, and top notch public schools that rival the suburban schools in the metro. Plus DT Minneapolis is a lot more vibrant than DT Dallas. You have to visit the area and see for yourself. Here, a large number of middle class, upper middle class, and even wealthy individuals and families live in Minneapolis and St.Paul proper. In Dallas, it’s the exact opposite, 2/3 of the city is near poverty. I gotta draw the line somewhere & Dallas is a city I would only go to on vital business. IMHO, high speed rail fans would be better served connecting Houston with Austin. OK, I have to defend Old Dallas. I have visited the Lakewood area, straight north on Central Expressway and east toward White Rock Lake, just under 3 miles from the Cotton Bowl and less than 4 miles from downtown. The 1920s and 30s neighborhoods are pretty much the same as the “favored quarter” parts of any Northern city built in that era (Bexley or Upper Arlington in Columbus; Meridian Kessler or Irvington in Indy): Relatively small lots, alleys, etc. with a neighborhood shopping district. There is a neighborhood named after George Kessler a mile or so west of downtown, and it, too, looks like similar “parkway” neighborhoods along the Kessler parkway system in Indianapolis. A quick check of real estate listings show that “close” old neighborhoods like Kessler Park are similarly valued in Dallas…those houses go from $200K up over $1.2 million. In a low-housing-cost metro like Dallas, that’s probably all above a median that includes the sprawl-burbs. An important question, I think, is how many people in the Dallas area truly care about urban amenities? I’d imagine that most that have stuck around are pretty happy with the suburban paradigm. The rest are in Austin. Of course, Dallas city leaders have clear motives for supporting urban growth: 1) Infill means more taxes to collect. 2) They see the writing on the wall, that unless you can continue to successfully annex and develop new land, the sprawl model typically ends in sustained decay for the host city. But are the people convinced? Or do they figure they can move to the next suburb and forget about Dallas proper? From what I can tell, that’s already what’s happening. At this point it seems like Dallas proper doesn’t offer a significantly wider supply of that than some of its suburbs. Atlanta, in contrast does seem to do that. “Of course, Dallas city leaders have clear motives for supporting urban growth: 1) Infill means more taxes to collect. 2) They see the writing on the wall, that unless you can continue to successfully annex and develop new land, the sprawl model typically ends in sustained decay for the host city. I really don’t have much to add. Dallas has to change to survive. The problem is retrofitting such a badly chopped up place is a huge task. Dallas is grotesque, Houston is better and that is saying almost nothing. Tnere’s alot of negativity towards Dallas and it’s downtown growth. Guess some people on here have never stepped foot in Dallas let alone downtown. Also to say downtown Dallas isn’t improving should check on the amount of redevelopment that’s been happening as well as new construction in and around downtown.